Is a Slow Metabolism Preventing Me from Losing Weight? Do you find some people seem to be able to eat as much as they want, and they never put any weight on, while others apparently pile on weight if they just look at a cake? It’s not actually a thing. Not for the most part anyway. Yes there are some exceptions to the rule, but most people – about 95% of people – are within 300 kcal of the average Resting Metabolic Rate (RMR), which is what people really mean when they say “metabolism”. 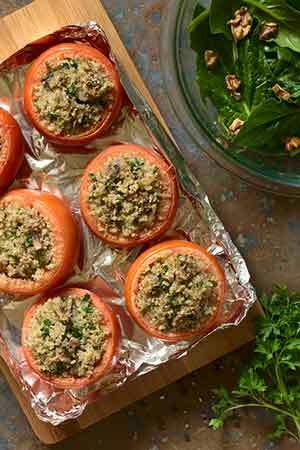 So only about 5% of people have what you would call “fast” or “slow” metabolisms. And even then it only amounts to the equivalent of a couple cookies a day – not buckets of food, as you might think. No, if someone has a higher than average RMR, there’s usually something they are doing to boost it. We’ll look at that later, but first let’s take a closer look at what metabolism really is. The Resting Metabolic Rate (RMR) is pretty much what people are talking about when they say metabolism. Your RMR is only one factor within the total amount of energy you expend in a day – which is what really matters when you consider Energy Out vs Energy In…and ultimately, whether you gain, maintain or lose weight. 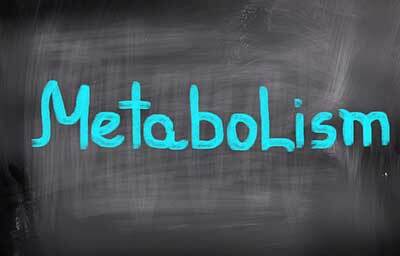 Metabolism consists of all the metabolic (chemical) reactions and processes that happen in your body every day. Each one of them needs energy, which has been numerically standardized into units called calories. RMR is therefore the energy used by these processes when not eating or exercising, which is most of the time. RMR can however be influenced by both of those things. The majority of the energy expended as part of your RMR is by your vital organs and your muscle tissue. 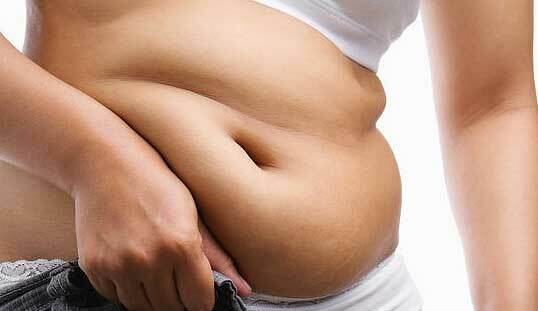 Quite a popular misconception is that obese people have ‘slow’ metabolisms. In fact, the opposite is true. Obesity puts a heavier tax on the body, from breathing, to pumping blood, to simply moving a heavier mass from A to B. Therefore more energy is used up. The problem comes because obese people still eat more – sometimes due to overcompensation – than they can burn. Again, it’s a fairly simple energy-in vs energy-out equation. Muscle mass and organ processes have the largest effect on your resting metabolic rate, but internal body temperature, as well as external environmental temperature probably have the next largest impact. Cold exposure is now considered a viable means of raising one’s RMR. The reason being that it takes energy to keep our blood warm enough (37 celsius) to live. If the external temperature is significantly lower than ideal body temperature, your body has to expend more energy to keep it warm. Whether this can be taken advantage of to lose weight reliably is up to the individual and their determination. Click here for our article about dialling down the heat to lose more weight. Eating provides you with energy, no doubt about that, but there is a quite a lot needed to break it down, absorb and store the nutrients. About one tenth of your daily energy expenditure can be attributed to this. It’s known as the thermic effect of food. What’s more, protein has a lot more effect that fat and carbohydrates, which is the reason it is often explained in diets as the macronutrient to increase in comparison to the others. Protein is also the most important for muscle growth and repair, making it even more invaluable for active dieters. Here’s the part where you can have the most effect on a portion of your Resting Metabolic Rate and overall energy expenditure. Up to HALF of you total energy expenditure can be put down to activity. That would be your highly active people; those training daily – or most days – in both intense and aerobic conditioning. Even sedentary people – those who don’t partake in much, or any, exercise – can clock up to 15% of the energy expenditure through activity. That’s because ‘activity’ in this sense can include spontaneous physical activity, like tapping you foot at your desk, chewing gum and the walking and stair climbing you do any given day. Hopefully, you can see that metabolism cannot really be blamed for any obesity problems. It’s more likely a simple case of Energy Consumption outweighing Energy Expenditure. Sure, there are people with above average Resting Metabolic Rates, but over 95% fit into a narrow bracket – within about 250 calories of each other per day. The most control you can have over your own RMR is to exercise. Just 30 minutes of exercise each day can add another 25% ore more to your resting metabolic rate, which can in turn be the difference between gaining and losing weight. Increasing your protein intake and adjusting levels of carbs accordingly, whilst engaging in an exercise schedule will enhance your efforts even further. Obese people can take heart in the fact that they actually have a higher RMR going into their diet / exercise. Each step on the treadmill will use more energy.